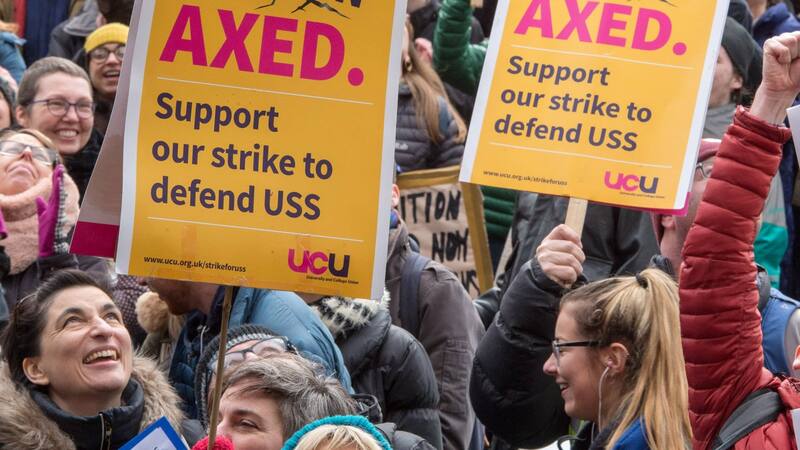 UCU members went on strike for 14 days in February and March 2018 to protect our pensions. The employers wanted to move USS to a ‘Defined Contribution’ scheme, with no guaranteed pension benefits and lower retirement income. A typical lecturer would have lost about £10k a year in retirement and early career staff would have suffered badly (depending on vagaries of the markets). The strikes ended with an agreement to set up a Joint Expert Panel (JEP) to consider the scheme’s highly disputed valuation. The Joint Expert Panel is meeting and looking at evidence submitted to it. Reports from the JEP meetings are available on their website. The reports provide information about the bodies who they have met, and the issues discussed, but they don’t give an indication of where the thinking of the JEP is leading them. Unfortunately proceedings are being held in confidence, despite calls for transparency. The JEP consists of 3 UCU appointed members and three UUK appointed members, plus an independent chair (Joanne Segars) who does not have a casting vote. USSbriefs25 list the members and their past experience. There is a significant possibility (given their backgrounds) that they might not reach agreement about the valuation. The deadline for submitting evidence is now past, and the JEP is due to report in September. Meanwhile, USS are planning to increase pension contributions to cover the ‘deficit’. This is because in the absence of agreement, they are supposed to implement a rule called ‘cost sharing’ to make up the ‘deficit’. Our contributions would go up from 8% to 8.8% in April 2019, and employers’ contributions from 18% to 19.5%. USS have announced further staggered increases thereafter, and there will be a formal USS consultation about these proposals over the autumn. Since UCU do not agree that this deficit really exists, we are not happy with these proposals. UCU will democratically decide what to do next in the autumn. There was much discussion of the pensions dispute at the annual UCU Congress and follow up Higher Education special sector conference on USS,and there is now a Special Sector Conference on Weds 7 Novemberto review the work of the JEP to which Goldsmiths UCU will be sending 3 delegates. And here are some useful links and background information.